Get set for summer! 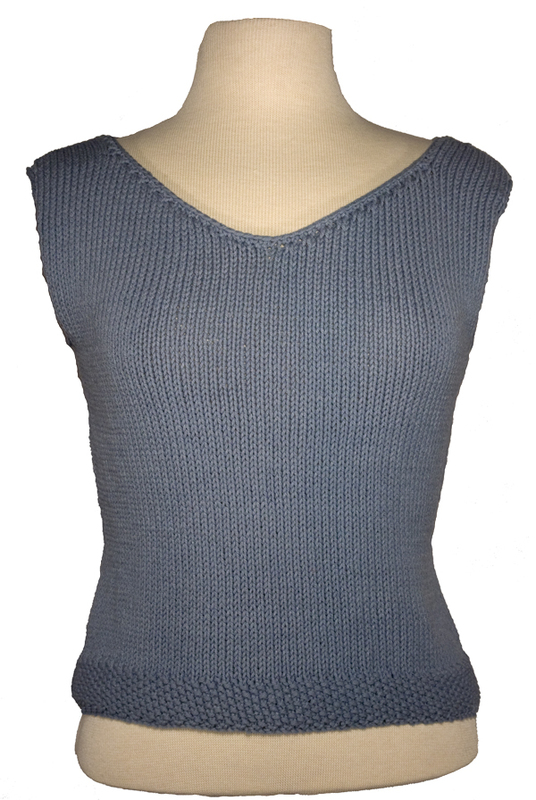 This versatile pattern includes instructions for two different hems — a pretty seed stitch or sporty rib, for two lengths — waist-length and hip-length, and for two different weights of yarn — worsted or dk weight. 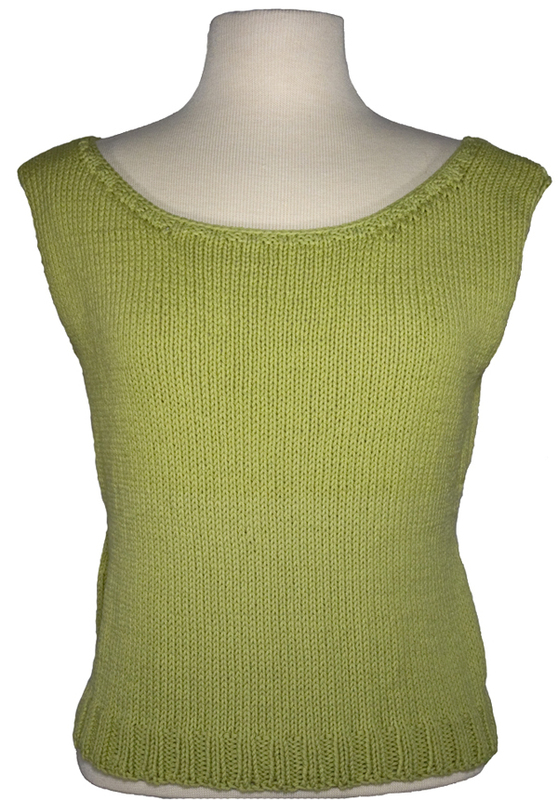 These breezy shells are knit in one piece — no seams to sew! 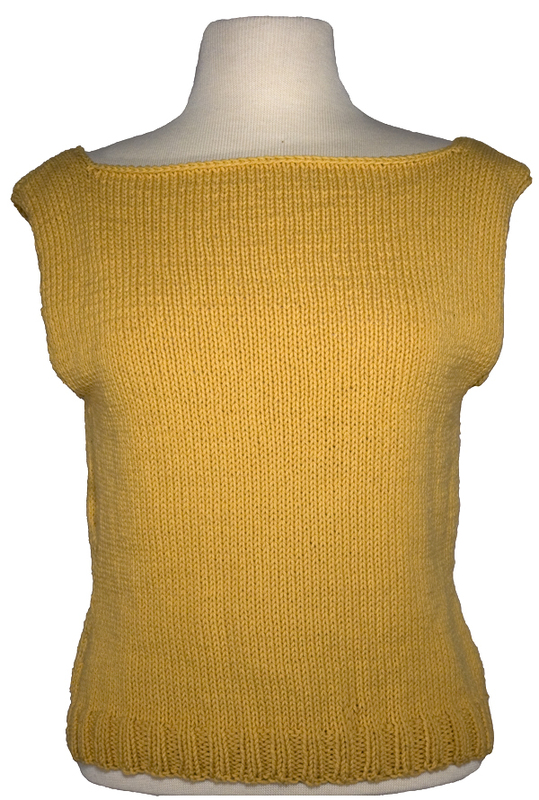 Finished Chest Size:	34", 38", 42", 46"
A beautiful, summery and easy to knit scoopneck version of our shell pattern.